Celebrate the joys of yesteryear with this darling quilt! A variety of vintage toys are featured: teddy bear, sailboat, airplane, rocking horse, jack in the box, and a puppy! Finishing to 35" x 46 1/2", this is a great size for a crib quilt or wallhanging. 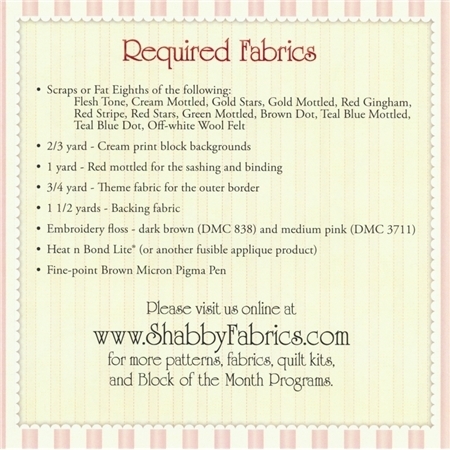 Pattern includes full size diagrams for both traditional and fusible applique! Perfect for a little boy's nursery!